Continuing on our themed threads discussing underappreciated games.. Its now the Atari Lynx turn, this handheld has many fine games but i still think some get little appreciation.. Here are some of what i think. Some see it as a simple Pinball game and i guess it is, but it's colorful, sound is great, and the replay value is high. This is a great little side scrolling shooter, it has great graphics and sound..
Great call fella, sadly i don't have this game but one i will look for. I've always loved to play Pinball Jam on the Lynx and Gates of Zendocon is definitely another one I really like. For a time awesome golf was the ony game I had on Lynx with robosquash. Pinball Jam - this never really impressed me tbh so not underappreciated imho. Gates of Zendocon - adored this game back in the day for a whole host of reasons & it does seem underappreciated by many retro gamers today seemingly because it's not Gradius/R-Type or a bullet hell shmup... or to put that another way, Japanese. I like Pinball Jam also, but the color scheme can make it difficult to track the ball. I personally feel that Ninja Gaiden III gets a bad rep for no really good reasons. It plays just like the NES game. If I have a complaint, it's definitely the color palette, everything is washed in brown. I think it's a fun platformer for the Lynx, and quite difficult too. I remember the NES games being very difficult also. Count me as one of the Ninja Gaiden III haters, my biggest problem with it is that it is exactly the same as the NES game! So far we all seem to agree on..
You must have missed my comment about Pinball Jam then! I've always liked Scarpyard Dog for the Lynx! I think it's a fun game! Me too mate, i only ever managed to complete a few of the worlds.. 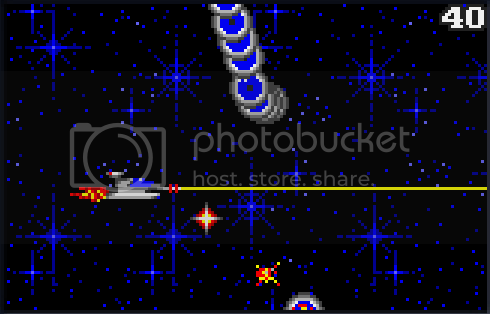 There are some warps that let you jump ahead. 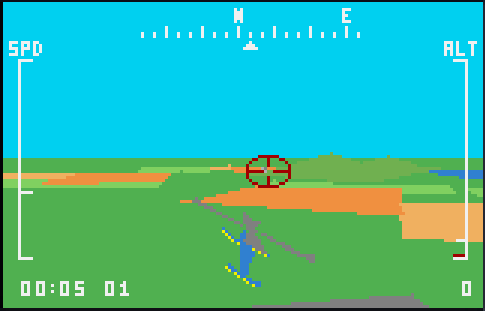 Great little game, basic but fun.. Control a helicopter and shoot the hell out of tanks and stuff lol.